The grill of choice for professionals and back yard enthusiasts! The Char-Griller Pro Deluxe BBQ Grill provides 830 Sq. inch of super grilling capacity. Add the Side Fire Box for great Texas style smoking. 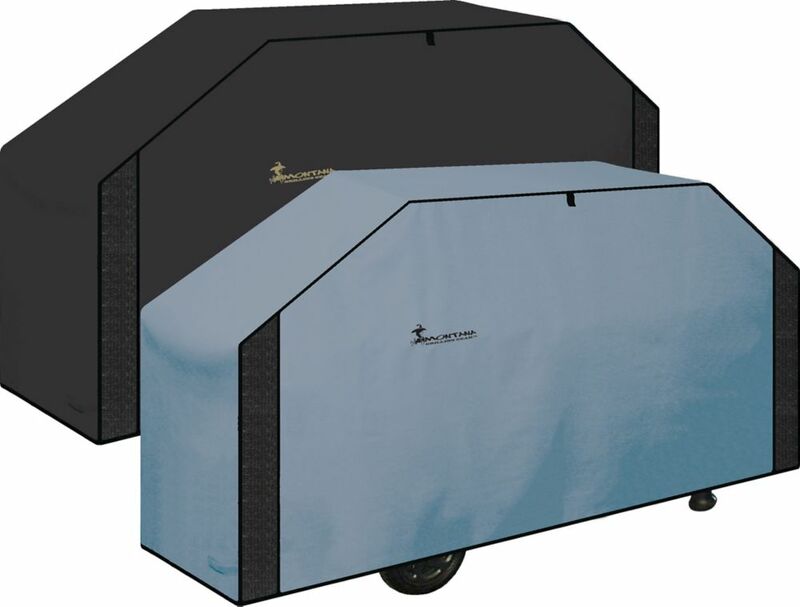 Grill Care's Heavy Duty Grill Cover will protect your grill from the elements. Made with a high quality weather resistant PVC/Polyester material, offering 4 season protection. Side handles for easy removal from the grill. Hook-and-loop tabs keep the cover secured to the grill. A hanging loop offers a convenient storage option when not in use. 73 x 24 x 40. PEVA/Polyester grill covers. Durable and weather resistant PEVA outer shell with 500 x 300d polyester lining. Hook-and-loop closures and hanging loop. The Martin Evolution Gas Grill is the perfect companion for any backyard. With its double layer lid and pedestal base, this unique grill features 30,000 BTUs and provides a total cooking area of 552 square inches. Assembly required. Ventilated , Reversible BBQ Grill Coverr - 68 Inch Protect your barbeque from harsh weather and debris. Made from weatherproof vinyl/polyester material that reverses from grey to black. This cover features mesh ventilation that prevents damaging condensation from building up on the barbeque by allowing moist air to escape. Easily fits over your grill and has Velcro tie down straps to keep it secure. Comes with UV protection and anti-cold crack, and convenient hanging loop for storage.